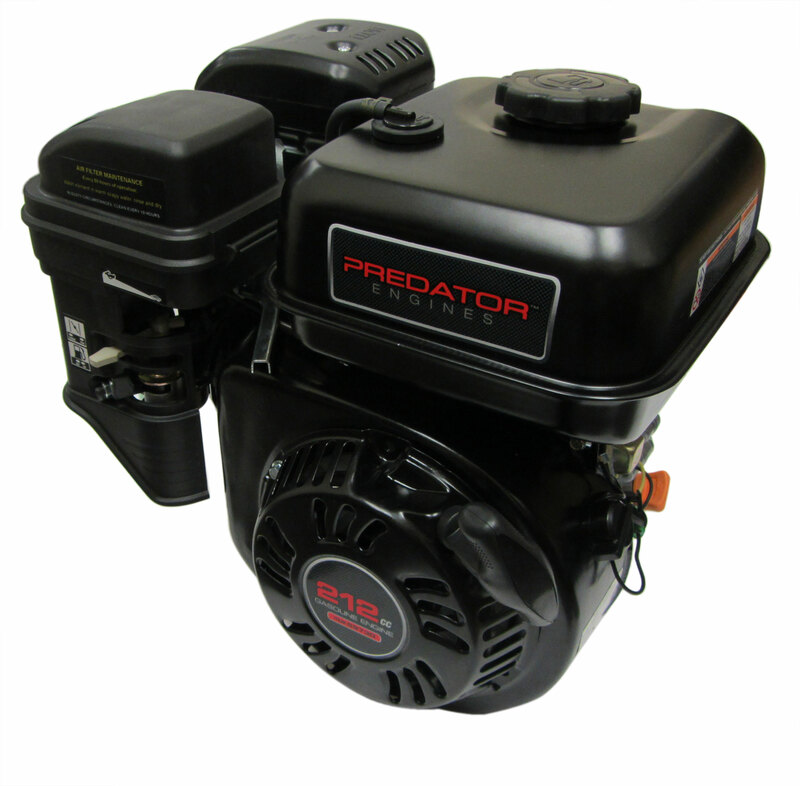 Replace your old engines on lawn mowers, rototillers, pumps, compressors and more with Predator engines! Q: Where do I go to get parts for this engine?? Q: What is the top speed in mph does this motor go? Q: Where can I get a air filter cover, I lost mine (housing)? Q: If this were on a go cart whats the top speed? Q: How fast do they go for a mine bike? Q: Can you use this engine on a yerf-dog spiderbox for an easy engine swap? Q: Is this engine available with electric start? Q: Will this engine fit a Yerf Dog 3203? The engine on it is a Tecumseh and is using oil terribly. I want to change engines. The Briggs I have will not fit the bolt pattern. A: The Predator 212cc engine is equipped with a crankshaft of 2-7/16" length, and the Tecumseh was equipped with a 2-7/8" crankshaft. To makeup the difference for the crankshaft length the setup needs to modified to keep the torque converter belt and chain in alignment. Q: BOUGHT a predator 212 for a gokart that is chain driven. do I need a torque converter?? do you carry one?